Beautiful cinematography and a wonderful screenplay make this film a sensual experience to watch. The film begins with Hal Holbrook; who plays the main character of Jacob as an old man; talking to a younger man who runs a circus. He is obviously “missing” from his nursing home and has a tale to tell. The younger man decides to listen and the film dissolves into a flashback, where it will remain for the entire film. The young Jacob; played by Robert Pattinson; is unable to complete his education at Cornell, where he was studying to be a veterinarian. While riding the railroads during the early days of the Great Depression he meets some men who introduce him to life working odd jobs at a circus. The star attraction of this circus is a beautiful woman named Marlena; played by Reese Witherspoon; who rides an equally beautiful white stallion. Jacob is taken with both the woman and the animal. Marlena is married to the owner of the struggling circus, a man named August; played by Christoph Waltz; who is always looking for another way to make his circus unique; and profitable. His relationship with his wife is odd and he seems to be lost in his own dreams and fantasies. Marlena is clearly unhappy. When Jacob notices that the horse is not well he finds himself at odds with Marlena; who thinks she knows more than he does about her horse; and August, who is insanely jealous and controlling. When Jacob tells them that he is a veterinarian he is given the job of taking care of the horse and restoring it to health. Realizing that the horse is in great pain and will never recover, Jacob puts him down with Marlena’s consent. This infuriates August who tries to kill Jacob over the incident. But soon he has his sights set on an elephant named Rosie as a way to make his show turn a profit. Accordingly he places Jacob in charge of the animal. When the elephant seems not to be able to learn any tricks August becomes enraged, beating the elephant within an inch of its life. The carny’s and roustabouts all pitch in and help Jacob bring the elephant back to health. But they must come up with a way to keep August from hurting Rosie again. During this time Jacob and Marlena become very close; verging on the edge of a romantic relationship. August senses this and takes his rage out on Rosie as well as Jacob. 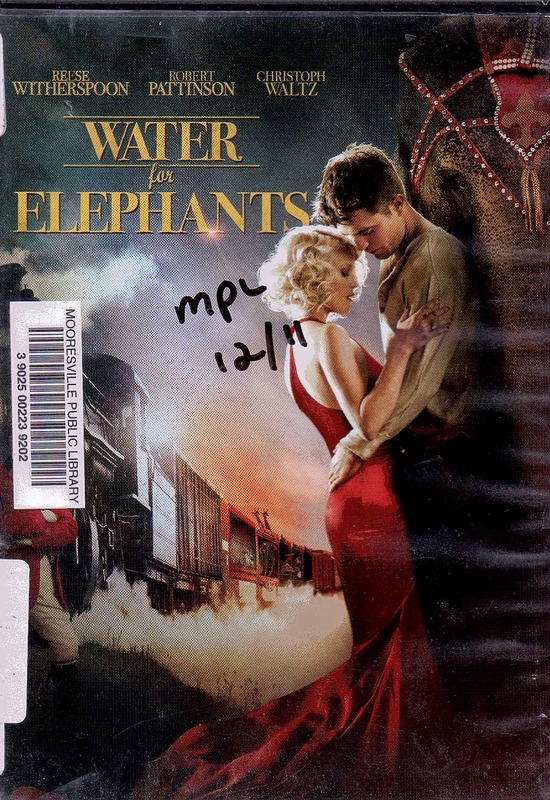 While tending to Rosie Jacob discovers that the elephant used to belong to a Hungarian circus and has been trained in that language. With the help of his fellow workers he is able to turn Rosie back into the class act she once was. This further fuels August’s anger and sets up a confrontation with Marlena. To find out what happens you’ll have to see the film. Suffice to say the film ends with Hal Holbrook finishing the tale he began, leaving his one man audience flabbergasted enough to offer the old man a job in the circus. Based on Sara Gruen’s bestselling book of the same name, this film with keep you in your seat waiting to see how it all turns out for Rosie, Jacob and Marlena as they navigate the three rivers of life, love and loyalty. Beautifully directed and filmed this is a movie you will want to watch more than once.